Use these avenues to invest in wind energy. When many investors think of energy stocks, they think of traditional energy firms engaged in the exploration and production of coal, natural gas and oil. As more folks, investors included, have become eco-friendly, investing in alternative energy companies has grown in popularity. One sub-sector of the alternative energy group is wind energy stocks. 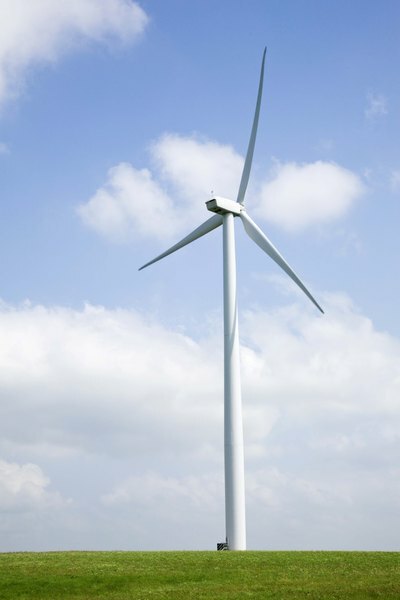 Here are some way for investors to get exposure to the wind energy group. Wind power has at least two primary advantages over fossil fuels: It is free and environmentally safe to capture. Those might be two of the reasons wind power production has increased in the United States. By 2005, the United States was producing 17.8 billion kWh a year in wind power. That is enough to power the city of Chicago, according to Alt Energy Stocks. Increased production of wind power increases the investment potential of turbine makers. These are the companies that make the direct engines of wind power conversion and could benefit from increased installations and higher research and development spending. One way conservative investors can access the wind energy sector without making an "all in" bet on the group is through shares of industrial conglomerates. Several of the major industrial conglomerates such as General Electric, Honeywell and Germany’s Siemens make components and parts used by wind power firms. However, these companies have diverse business lines and are not heavily dependent upon wind power as a primary driver of revenue of profits. That means investors can get some exposure to wind energy without being too vulnerable in the event of an industry collapse. Another way for investors to hedge their bets while still gaining some exposure to wind energy names is to access the group through small-cap funds. Even some of the more prominent wind energy names are considered small-cap stocks (those with market values of $2 billion or less). Those names, along with others from other industries, can be accessed through small-cap funds. Exchange traded funds, or ETFs, represent perhaps the best way for investors to gain exposure to wind energy names without the burden of having to select individual stocks. Wind energy ETFs offer another advantage in that they offer investors a chance to invest in shares of foreign wind power firms that are not listed in the United States. The largest wind energy ETFs are heavy on stocks that, at the sector level, are designated as industrials or utilities.